Since ancient times, roses have symbolized God at work in whatever situation they appear. The intricate and elegant rose offers a glimpse of a masterful Creator’s active presence in creation. As this popular flower blossoms, its buds gradually open to reveal blossoms with lovely layers — an illustration of how spiritual wisdom unfolds in people’s lives. The strong, sweet scent of a rose brings to mind the powerful sweetness of love, which is the essence of God – by Whitney Hopler. My dear friend shared this lovely quote with me not long ago as a series of events unfolded in my life. I will refer to her as “Rosa” since she has certainly been a rose in my life. Rosa in Latin means rose. Rosa is a lovely person with a heart filled with so much love and compassion for others. I’m grateful to call her my friend. 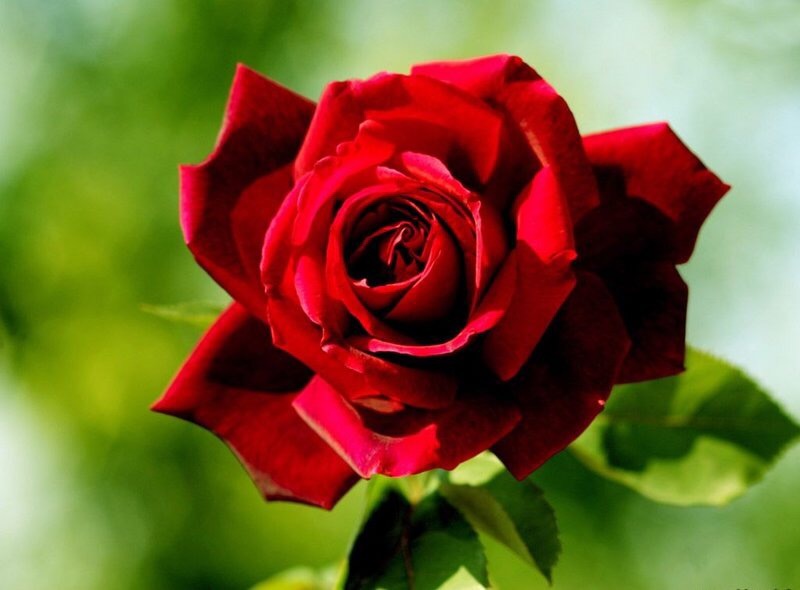 I believe God sends a “Rosa” into our lives who we call our friend in times of sadness to help return the love in our hearts as we struggle with the pain and suffering along with a broken heart. Rosa and I became friends in the most incredible way. We both attended the same church and were associated with many of the same circles within the church. On many occasions we would make small talk but that was it. We simply were acquaintances. Rosa became very ill and was forced to spend a very long time in the hospital. She nearly died. I received an email one night from a member of the church. The email included an update of Rosa’s progress and also included a plea to help. I’ll never forget receiving that email. As I read the email and saw the picture of this beautiful woman my heart was filled with so much compassion I knew immediately I had to help her. I reached out to her. We’ve been dear friends ever since. The ironic part is that I reached out to help her but it has been Rosa that has been instrumental in helping me heal from the heartache and betrayal brought from a very abusive partner. If I were to describe my friend Rosa I would begin by saying she’s beautiful inside and out. She’s Latin American with a beautiful accent, she has long dark hair and a smile sure to capture the hearts of many. She has a heart filled with so much love and compassion for others, you’re sure to find her constantly helping those in need. She’s intelligent, funny, loyal, genuinely lovely inside and out with a demeanor as delicate as a rose petal. Rosa is a devout believer, she’s spiritual and has a strong intuitive sense of others. I suppose when you have a kind heart as pure as Rosa’s, it’s pretty easy to see through the unkindness of others. Rosa is an angel in disguise. I have struggled to heal from the pain caused by my ex. Rosa has been instrumental in guiding me through the healing process that has required me to “let go” and dig deep inside of myself to find forgiveness towards my ex. She has given me the strength to take a step in moving forward every day. Not long ago, Rosa attended an expo. 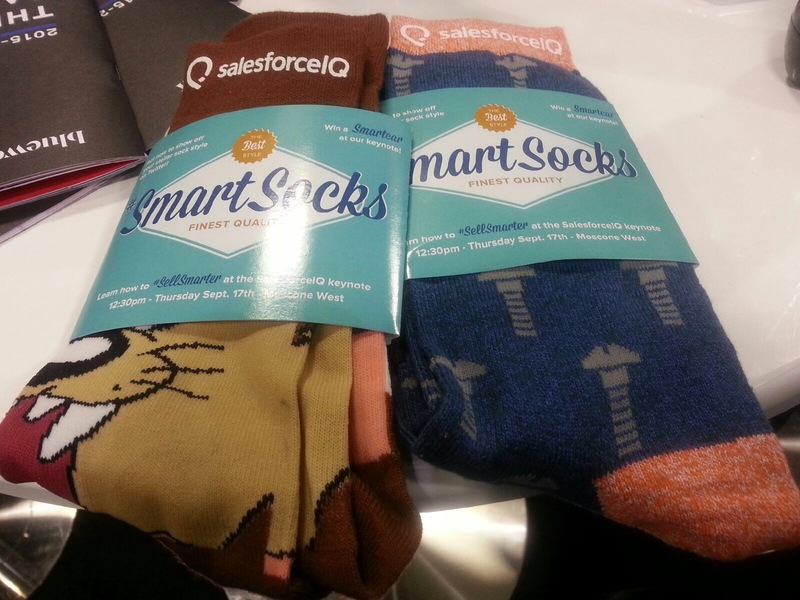 I received a text from her saying that the host of the expo was handing out free socks so she had got me a pair. She texted me a picture of the socks but in truth I didn’t really take notice of the design on the socks. She said she was going to mail them to me. Later that evening while we were on the phone Rosa shared she had changed her mind about sending me the socks. She kept saying “I have this really bad vibe about these socks”. Rosa was clearly bothered by this. I assured her it was fine. The following day she again reiterated how bothered she was by these socks. She felt guilty. In her very beautiful accent Rosa said “I feel so bad about these socks. They are so cute but I have this bad feeling about these socks. They have the face of that “devil cartoon character. I don’t remember his name!” I was taken aback and asked “The Tazamanian Devil? !” Rosa exclaimed “yes! Do you know the cartoon? !” I blurted out “omg! I have that tattoo!” Rosa was so bothered by this asking “when did you get that tattoo and why?” I replied “I got it three and a half years ago. It was my nickname for my ex”. Rosa was sick about this asking why I had never said anything. I told her because it was a secret between My ex and I. Rosa insisted that I get rid of the tattoo. She explained the tattoo would only prevent me from letting go and I would only remain hostage to that man. Deep down I knew she was right but I was hesitant since my tattoo was my way of staying connected in some way to my ex. Despite all the cruel things my ex did to me and despite all the pain and suffering he caused I have found it difficult to let go and move forward. My tattoo was a reminder of the love we once shared and the short time when things were good. Rosa and I argued about this as I drove home that afternoon. 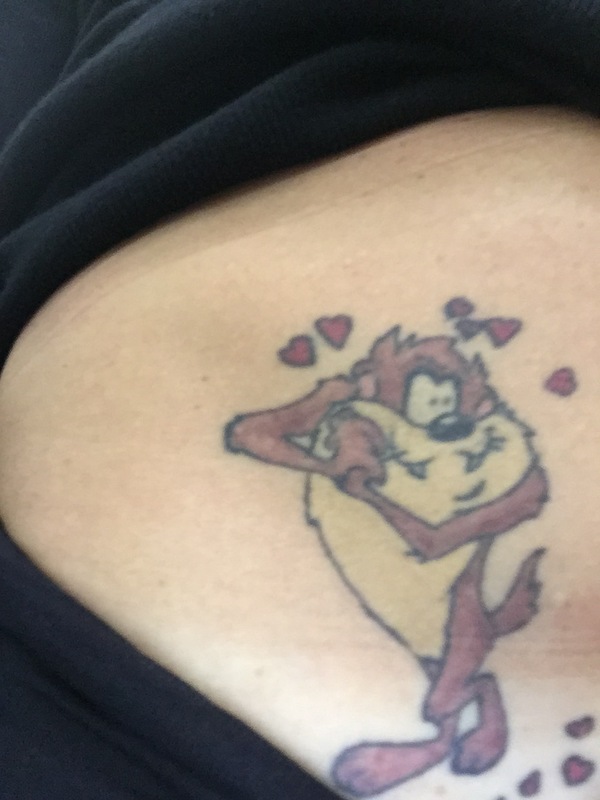 She insisted that I drive to the tattoo shop and inquire how I could remove it. She even suggested replacing it with a rose. I finally succumbed and drove to the same tattoo place where I had gotten my tattoo. I asked the tattoo artist who did the original tattoo what I could do to cover that up. He suggested a flower. Preferably a rose. He said a rose would be the best way to conceal my little Tazamanian Devil. I left saying I’d come back. That night I surfed the Internet for various tattoos. I found two photos of a rose tattoo but spent the evening choosing plumerias instead. I thought if I had to get a flower my choice would be a Hawaiian flower and not a red rose. The following day I went back to the tattoo shop. I was still apprehensive of letting go but I thought I’d at least check out my options. I showed the pictures to the tattoo artist, beginning with the plumerias. He said no to every picture until we got to a picture of a red rose. That’s when I heard the word “yes”. 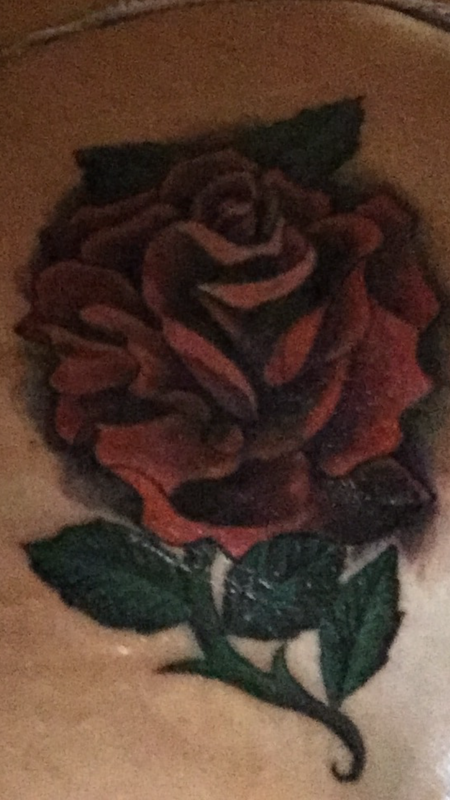 He explained a rose was the only way to cover my tattoo without it looking like mud. I finally agreed. I asked “when can you do this?” The tattoo artist is usually two or three weeks out for an appointment so I thought I’d have time to ponder this and more importantly…back out. Much to my surprise he said “I can do it today”. “Today?! Are you kidding me? !” Were the words that went through my mind but I ultimately agreed. I endured two and a half hours as my tattoo artist worked his magic but the end result was a beautiful red rose. I was late for my prayer group that night. During the break I shared why I was late with a lovely woman in my prayer group. I told her about my friend Rosa, the socks and my Tazamanian Devil tattoo. She had chills as I shared my story. She finally told me how it says in the bible that the lord will send a saint to kill the serpent. In the catholic faith, the most powerful Saint is the Blessed Mother who is associated with the rose. This flower is a sign of love. I couldn’t believe it. That Sunday the Bishop from the diocese gave a beautiful homily. He spoke of a lovely woman named….if you can believe it, Rose. He shared the story of this lovely woman who spent her life helping those in need. He also spoke of the trials in our lives. The Bishop told the parish how God always turns the bad things in our lives in to something good. After church, I ran in to a friend from my prayer group as she was leaving the book store. She had bought the book of Saint Therese of Lisieux. 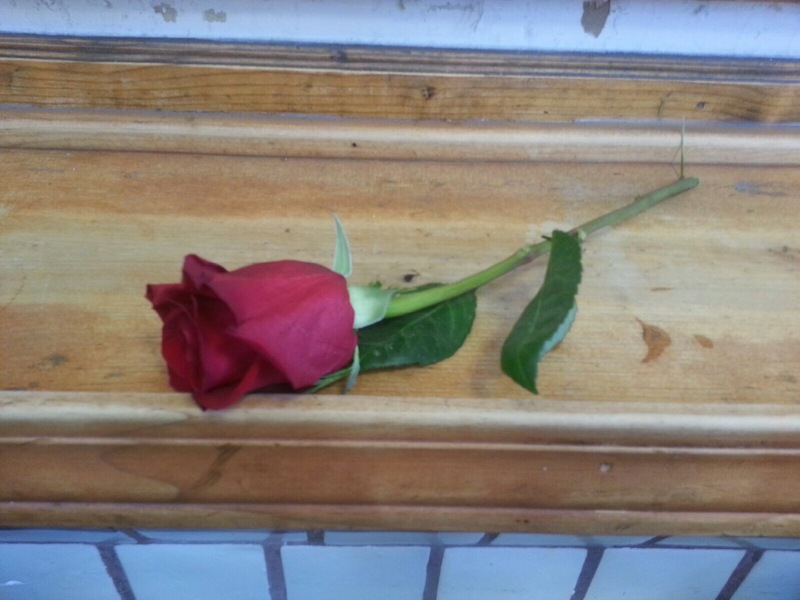 She shared when we receive a rose it’s a message from heaven telling us our prayers have been answered. She went on to say, “there is no greater love than that of the beautiful red rose”. That afternoon my friend Rosa went to a restaurant and the owner who hadn’t seen her in a long time gave her the most beautiful rose. A rose bud for a beautiful rose such as my dear friend. The following week I received a text from my friend Rosa. She was on her way to her meditation group. She said she had decided to give the socks to a dear friend in her meditation group. I thought her gesture was so thoughtful. That night my friend Rosa gave the socks to her friend at meditation. He was so touched by her lovely gesture. He said “thank you Rosa. I am deeply touched. Taz was the nickname I had for my wife throughout our marriage.” His wife had passed away several years ago. Rosa could not believe what she heard. Neither could I. 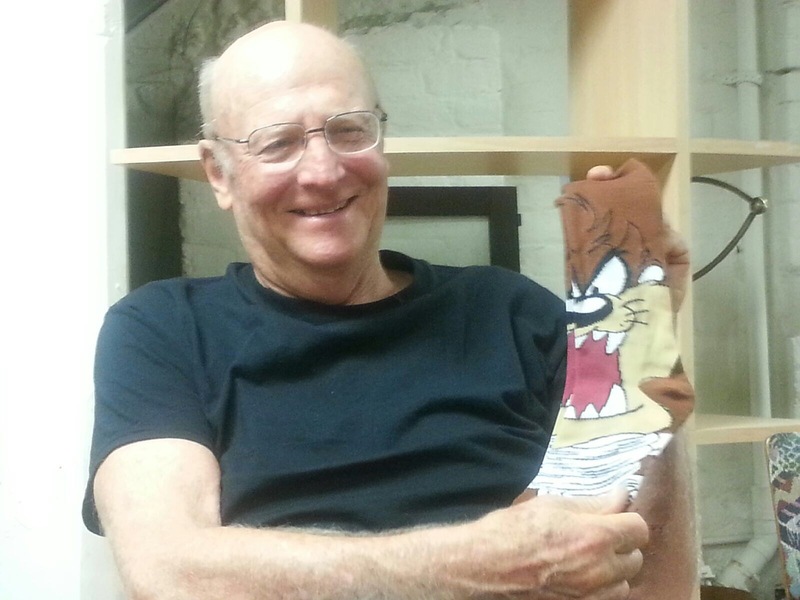 This story all began with the with a pair of socks. While my association with this cartoon character brought so much pain and suffering in my life, it ended with a beautiful story of the love this man shared with his lovely wife. The Bishop was right. God never wastes the bad things in our lives, he always turns our painful or tragic story in to something good. At the center of all this is my lovely friend who I have referred to as Rosa. She exhibited love throughout all of this and the rose tattoo I now have stamped on my body. A reminder of love. I believe this story would never have happened without the help of a divine intervention. God is good. God is love. And the strong, sweet scent of a Rose, like the quote I cited at the beginning of this blog, is the powerful, sweetness of love, which is the essence of God.